A variety of circumstance can lead to a damaged denture and should be addressed immediately. Repairs restore a fractured or damaged denture close to its original condition. 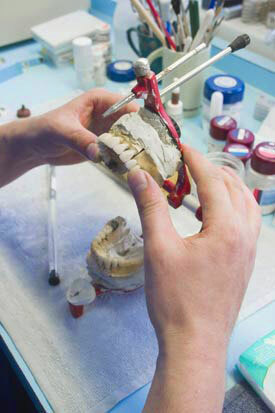 Walnut Family Dental can often provide denture repair procedures on a same day basis. Dr. Diep, Dr. Troung or Dr. Xiong will advise you of the condition of your denture and will recommend steps needed in preventing further breakage. For more information about denture rebase and repairs or to schedule a consultation with Drs. Diep, Troung or Xiong, call our office in Walnut, CA at Walnut Family Dental Phone Number 909-594-9444.